How close do you feel to God right now? What do you long for in your relationship with God? How has the experience of these devotions affected your intimacy with God? Receive It and Live It. A relationship with God won’t automatically grow. No relationship will automatically grow. Any relationship will default to atrophy. Without intentionality, we’ll become distant. We’ll question the importance of the relationship. We’ll wonder why we were in the relationship in the first place and might even begin to reframe it in negative ways, justifying why we’re no longer in it. Faith takes nurturing. If ignored, it will cease to grow at all or grow in unhealthy ways. We have to pay attention. We have to invest. And we have to remember the relationship is not just about us. Our relationship is with God, which means he has significant input. We have to listen to him. We have to become familiar with him. We have to respect him. He is God and doesn’t need to prove his trustworthiness and sovereignty, but his consistency proves it in time as we interact with and rely upon him. We pray, not just sharing requests but praising God and allowing him to pour his encouragement and admonishment into us. We study, not just for head knowledge but for heart knowledge, placing intimacy with God far above familiarity for trivia. We worship, not just during a weekend service but as a lifestyle, striving to praise and honor him in everything we do. Live It. How is God challenging you to become more intimate with him today, pouring life-sustaining water into you? Don’t wait. Respond today. Small steps are fine. Inactivity is not. Do the situations we face make us into who we become or simply chip away the extra to get to who we have always been? I realize it’s a question nearly on the same level as “Which came first – the chicken or the egg?” (Although I’m fairly certain it was the chicken.) But I’ve been mulling it over lately. Am I shaped by my experiences, or am I revealed through my experiences? Maybe you don’t care. I mean, does it really make a difference? Probably not, in the big scheme of things. After all, don’t I have a responsibility to respond well to every situation I face? Everything I decide to say? Every thought and attitude I have? Regardless of who I am or what I’ve experienced, I am constantly faced with choices and responsibilities. Do they more reflect who I am or make me into who I am? It’s called a filter. It’s not intended to get me stuck in a constant cycle of “what if.” It’s just a pause before a decision, because I’ve learned that knee-jerk reactions don’t often end well. I know God created me with certain dispositions and such, but as stubborn as I can be, I don’t want to assume He wants to leave me the exact way He created me. He knows what’s coming and what I need for those situations, so I trust I’m well-equipped, but I’m also confident He wants me relying on Him through the process, which means being humble enough to let Him smooth off the rough edges. It’s not always comfortable, but it’s worth the willingness. After all, if I’m not willing to be pliable enough to change, how am I ever going to keep up with the purpose of life on earth? Limited time calls for intentional obedience. Be a Witness to God’s Withness. As Christians, we often talk about how available God is. He is always present. But do we live as if that’s true? Do we behave as if we truly believe what we claim to believe? Not as often and as completely as we should. And I’m not saying “as we should” as a condemning judgment. It’s not about “ought have, could have, should have.” It’s about the invitation that God extends to us. It’s the truth that He really is present in our lives. We just don’t behave as if He is. We make sure we mention Him and give Him credit when things work out well. We cry out to Him when things aren’t going well. But what about all those in between times, the moments we go about our ordinary lives. Do we invite Him into those spaces, too? People around us see us in all of those moments. Well, perhaps not the ones when we’re by ourselves in our homes, but what we do in those unseen (by everyone but God) moments bleed into our witnessed moments. 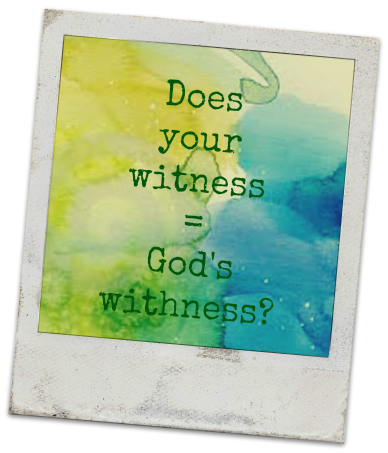 God’s presence isn’t dependent on our willingness, but He can certainly use us as witnesses. We have to be willing and available at all times to become a witness to God’s withness. 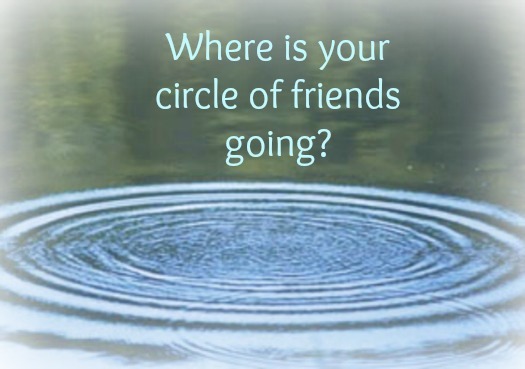 Where Is Your Circle of Friends Going? Jesus had a pretty tight-group of friends. He came in contact with a lot of people, but He deeply invested in a few. He nourished, taught, and filled them, so that when He left, His disciples were so full that Jesus’ impact on them exploded throughout ripples of relationships and communities. Who are you investing in, and who is investing in you? Have you become a closed community or a close-knit community that is in a season of investment, poised in preparation to explode into ripples that impact others? We can get so comfortable in our routines that we don’t prepare for the next step. We like our friends. We like our time together. We like how we can trust each other. It’s just…comfortable. Why change it? Because there are other people who need to experience connections. There are people who need to be served, listened to, acknowledged, invested in. Think about your “groups.” With what are you filling yourselves? Is it nourishing and life-changing? God-honoring? Start multiplying. Share with others. You will likely stay in contact with many people, but you may have to leave some people behind. If you’ve invested in each others’ lives, you’re really just taking each other with you. The ripple effects are connected, but they have to move in order to continue. When people commit to reaching others in remote places of the world, they go through extensive training to to learn the language and culture. That makes sense. Otherwise, how are they actually going to impact others’ lives? Jesus said, “You will be My witnesses in Jerusalem, in all Judea and Samaria, and to the ends of the earth” (Acts 1:8). We all reach people somewhere, whether it’s close or far away, friends or enemies. We’re to “go, therefore, and make disciples” (Matthew 28:19). Even people who don’t believe Jesus’ words make disciples…just not the way He intended. We all influence others. How much effort are we willing to give? It makes sense for foreign missionaries to learn the languages of the people they reach. Shouldn’t the same be true for wherever and whomever you serve and reach? If you’re truly committed to people, shouldn’t you learn their language and culture? Instead, we often don’t want to be bothered. Keeping things comfortable for ourselves is so much easier than investing in other people’s lives, especially if they’re not like us. We can just give money to the person who is really passionate and well-trained for reaching “those people,” right? I mean, if someone is living in this society, in my community, and even comes to my church, he or she is pretty much like me, right? Why would I need to listen, grow, or change in order to impact his or her life? 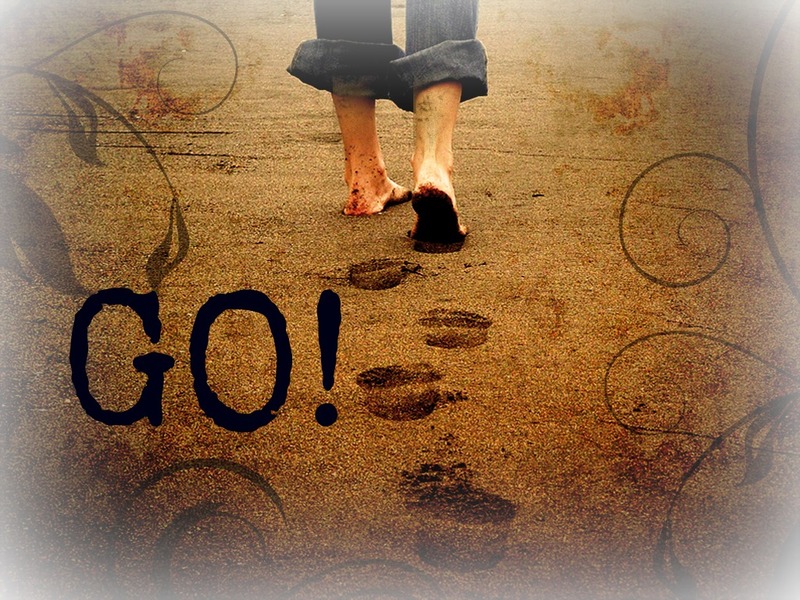 Discipleship requires action and effort: “Go”! “Go” isn’t just about location. It’s about setting yourself aside, as well as your expectations for God to just bring people across your path. He’ll certainly do that, too, but you have to pay attention to the path you’re on. You have to follow Him, and I can say with certainty that He will put you on some paths that are inconvenient and uncomfortable at times. I don’t know what language you need to learn today, but I know God wants to teach you something you didn’t know. It might be right in front of you. Open your mind and heart today. Always be ready to “Go”! I took my daily walk along the beach, all the way to the turnaround point…the end of the property, marked by large rocks. I don’t know who owned the rest of the shoreline. It had no houses on it, and sometimes a few people were on the beach or in the water, but they looked local, not like me, a visitor. This day, I saw a man and two dogs. 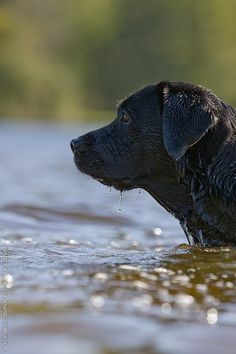 At first, I saw only one dog in the water with him. I stopped to watch for a moment, because the dog was a lab and reminded me of my own. The lab stayed close to the man’s side as they swam into shallow water. That’s when I saw the second dog, a German shepherd, probably less than a year old. He was running back and forth along the water’s edge, very excited but also very unfocused. The shepherd met the lab and owner as they came out of the water. As the shepherd jumped around and played, the lab looked at his owner for instruction and affirmation. The owner leaned down and talked directly to the shepherd, then whistled and spoke a command that I assume told both dogs to follow him into the water again. He was training them. The lab stayed by his side. The shepherd began to follow but only made it a few feet into the water before deciding he’d rather run along the shoreline. I assumed the owner had brought along the older lab as a role model for the young pup in training. The lab stayed focused. The shepherd stayed unfocused. They had the same trainer but were at different phases of their lives and training. I’m sure their dispositions were different, too. One had more experience. I thought of how we as Christians must look to observers at times. We all talk about God, but our behavior is very different and quite confusing. When people look at some Christians, they might think they get an accurate picture of who God is, but then someone else responds to Him and represents Him differently. We know why. We know we’re different people; God created us to be unique. We’ve had different experiences, different amounts of training. We have different baggage and temptations. It makes sense to us. We can be different but serve the same God. But to others, our differences might seem confusing, as if we don’t respond to God well, or, as if He’s incapable of creating any kind of consistency in us. Our faith isn’t just about our behavior, but we have to acknowledge that our behavior is often the only tangible thing people see of us. We have to be willing to show them more, to be authentic with our struggles and obedience. To answer questions and not get defensive when people seem to accuse us or God because of the discrepancies they see. God is a creative God. We are different. But He is the same God. He knows who is watching us at all times, and He knows how to use us–our obedience and our distractions–to reveal Himself to others. Are you willing to follow Him through the good times and the messy times, not just for yourself but for others to see, too?